A piece of legislation intended to aid the investigation of missing indigenous people stalled in the Senate Judiciary Committee Monday, but supporters aren’t giving up just yet. Hanna’s Act, named in honor of a Northern Cheyenne woman who was murdered in 2013, would have established a position dedicated to investigating missing people in Montana. The bill, sponsored by Representative Rae Peppers, a Democrat from Lame Deer, had already been stripped of $100,000 in funding before the Senate Judiciary Committee tabled it Monday. Proponents remain hopeful it’ll come back for another vote this session. If not, some hope to bolster Montana’s investigative power in other ways. The Rocky Mountain Tribal Leaders Council in Billings is asking Governor Steve Bullock to create and fund a task force to address missing and murdered indigenous people in Montana. William Snell is the council’s executive director. Snell said they had a meeting set up with the governor’s office today. Meanwhile, Representative Shane Morigeau, a democrat from Missoula and a member of the Confederated Salish and Kootenai Tribes, said legislators are fighting to give Hanna’s Act another chance this session. Republican Senator Jennifer Fielder of Thompson Falls voted against the bill Monday. She said adding another person to state government would not solve the problem. 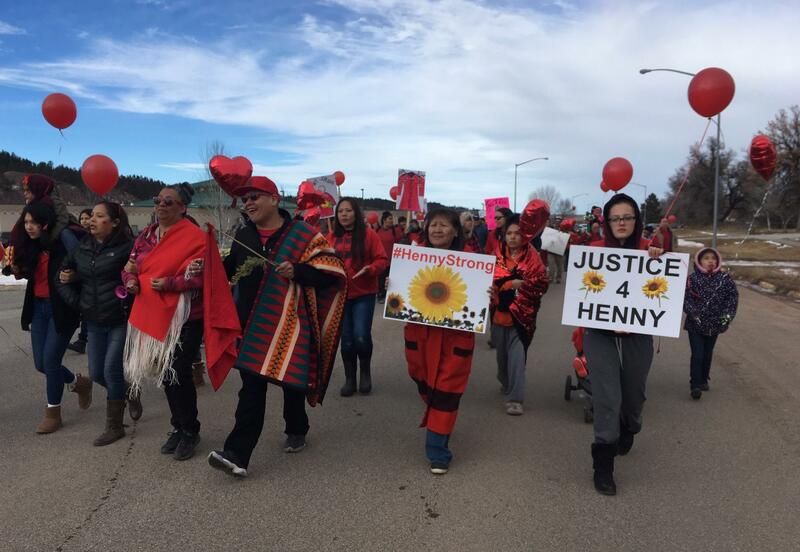 Many proponents of Hanna’s Act disagree, like Dean Wallowing Bull, an activist on the Northern Cheyenne reservation who organized community marches following the death of Henny Scott, a young girl whose body was discovered last year. He does see a need for the position, and as far as he knows, the resources on the Northern Cheyenne reservation are not there. “The extensive funding she’s talking about is a pipe dream. That’s not true. We don’t get extensive funding here. And if we do, I don’t see it,” said Wallowing Bull. Marita Growing Thunder, who leads an annual walk across the Flathead Reservation to raise awareness about missing and murdered indigenous women, agrees there’s a need for a dedicated investigator in the state. The bill would also have established a database of missing people in Montana. Growing Thunder pointed out there currently are no federal or state databases of missing and murdered Native American people. “So, having that specialist to even track the fact that there are missing indigenous people, even that acknowledgment, even though it may seem small to other people, it’s so huge the fact that we can be considered amongst numbers of other people who are considered people still and not merciless Indian savages like they say in the constitution,” said Growing Thunder. She remains hopeful that the bill will get another shot.